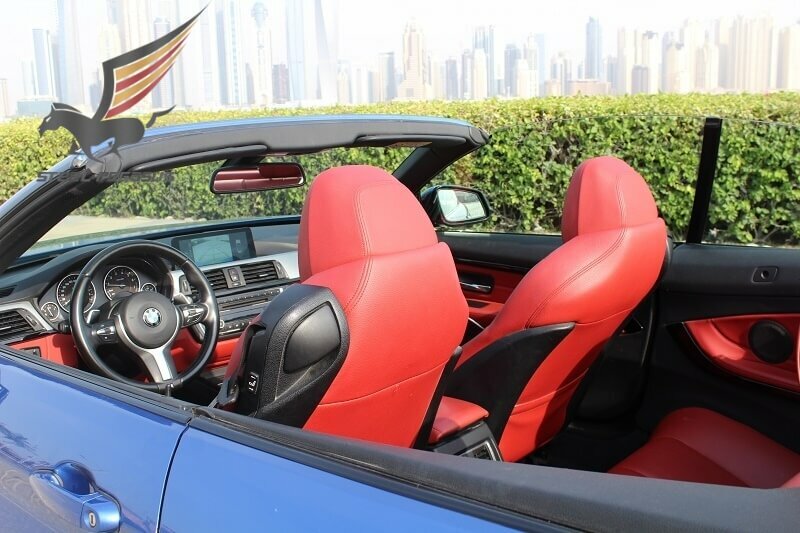 The BMW 428I Cabriolet is a good car for rent in Dubai. 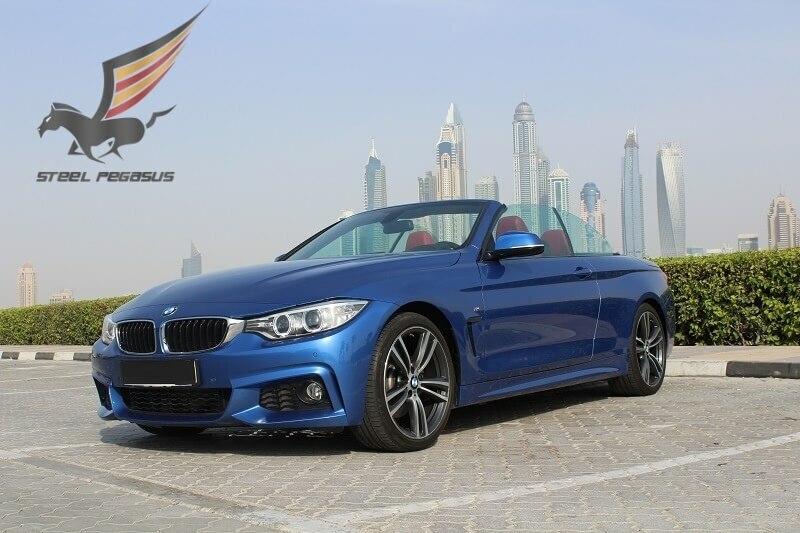 The BMW 428i is a cabriolet for everyday use. The front seats have a 3-way neck blowing system, this adds a fair amount of comfort and allows you not to experience negative impressions while driving the car at any time of the year. 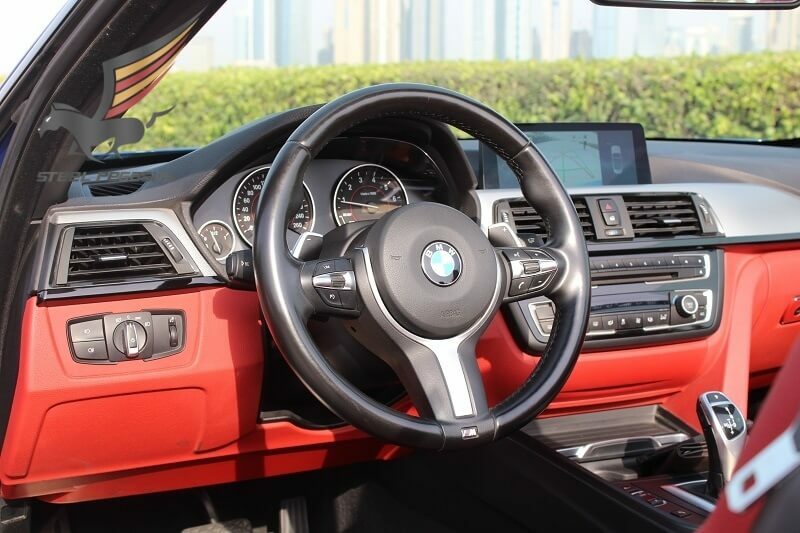 The roof of the 428i consists of three parts, it takes about 20 seconds to fold it. The sports equipment includes an 8-band gearbox, proximity sensors, two-zone climate control. 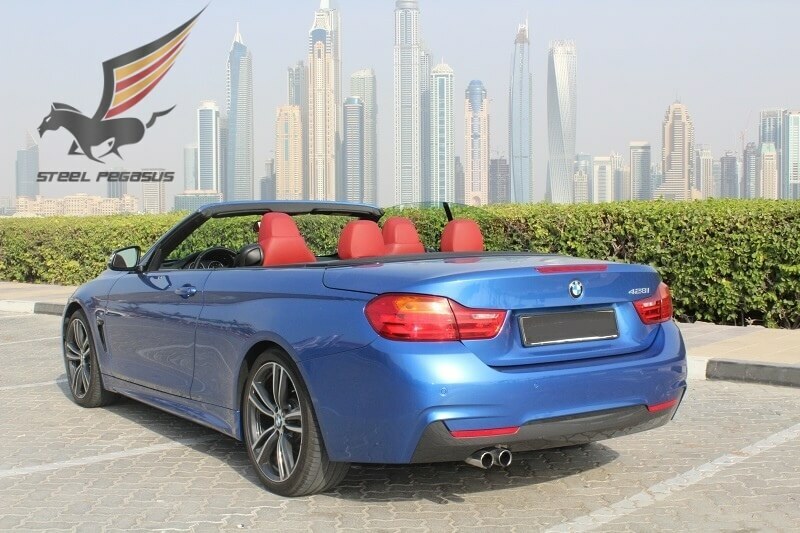 The 428i is a good choice for a rental in Dubai, you will quickly move around without problems to any points, well and the appearance of the convertible always had advantages over the coupe. In addition, the 428i has a built-in xDrive drive system. 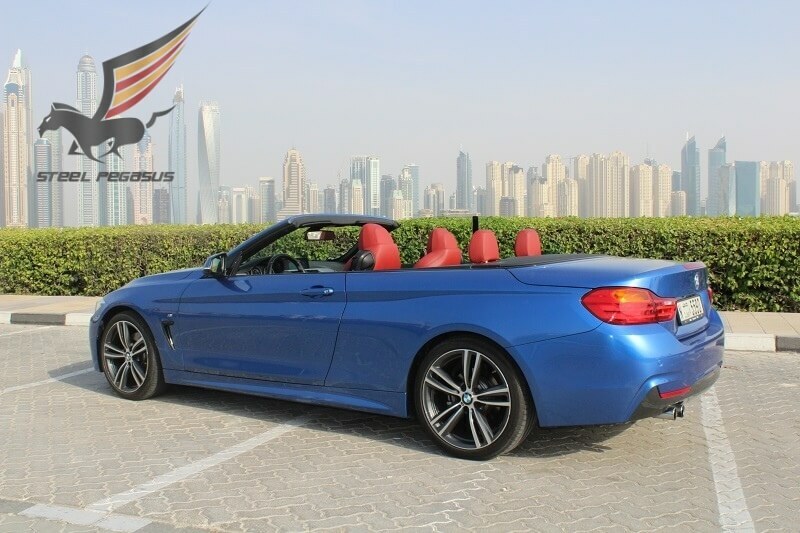 Select and rent BMW 4 in Dubai in different colors.